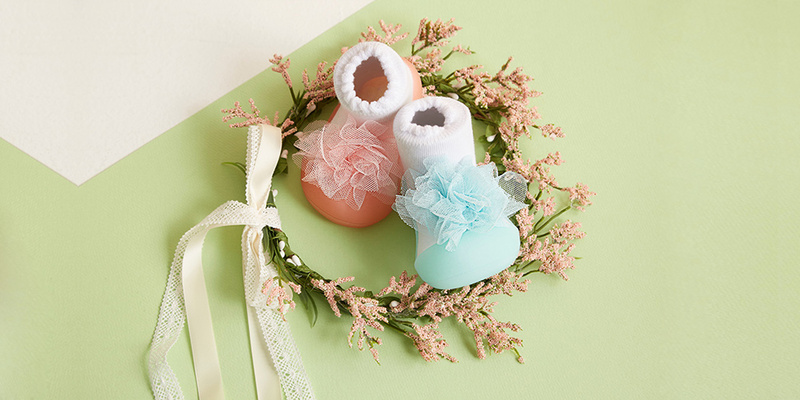 Pamper your little princess with these adorable soft sole shoes for new walkers. Embellished with a large tulle flower, these darling shoes are delicate yet durable. Whether combined with a tutu skirt or a pair of pastel tone trousers, these infant shoes will look cute and feel comfortable on your beloved child. This adorable collection for young children comes in mint green and dusty pink colours. The enlarged toe soles ensure nothing hinders natural movement of the foot and allows little feet to grow healthy.